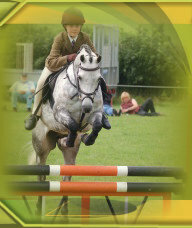 Porlock Horse Show is held at West Luccombe Farm, Porlock, Minehead, Somerset, TA24 8HT. The grid reference is SS909463. The show field is just off the A39, between Porlock and Minehead. From Taunton, follow the A358 to Williton. At the roundabout, take the 1st exit and follow the A39 to Minehead, then on to Porlock. After passing Allerford on a left hand bend, take the next junction on the left, signposted Horner, West Luccombe. The entrance to the show field is on the left, just as you go around a right hand bend. Click on map icon to see location.